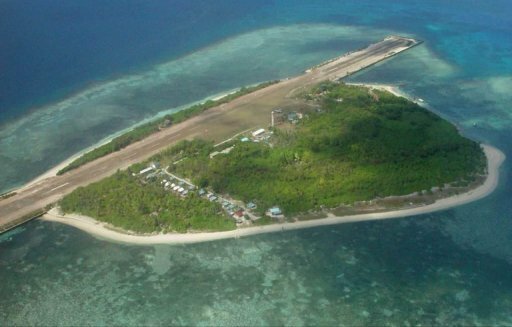 AFP News - Undated handout photo released by the Kayalaan Municipal office in 2011 shows Kalayaan island in the Spratlys, a chain of islets in the South China Sea. The Philippines has deployed 800 more Marines and opened a new headquarters to guard its interests in the disputed Spratly islands, which China also claims, a senior military official said Sunday. Yes, Kalayaan Island is ours.